In some cases we will find ourselves in a situation in which we will have various videos that we want to join into a single file, but we don't want to have to resort to advanced editing programs. For these cases we can use Ultra Video Joiner. 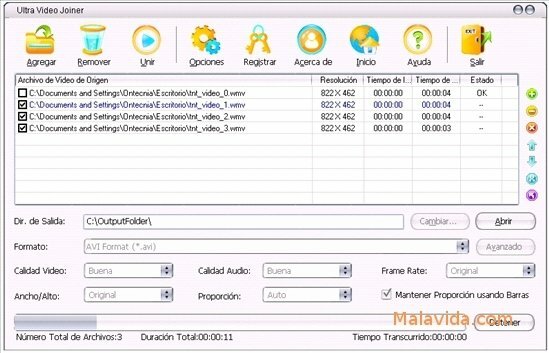 This software uses a pleasant and intuitive interface to allow the user to join two or more video files into a single one, without any problems if the videos are in different formats. 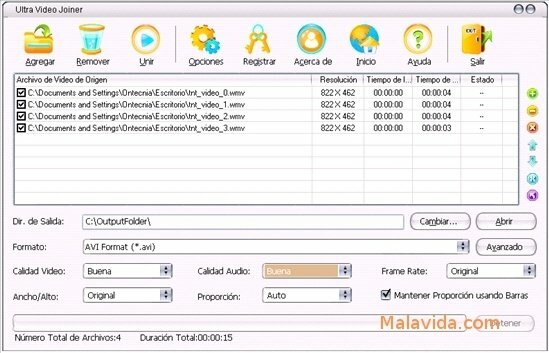 The program is capable of reading videos in AVI, DivX, MPEG, WMV, ASF, RM, MOV, 3GP, MP4, FFLV and MKV format. 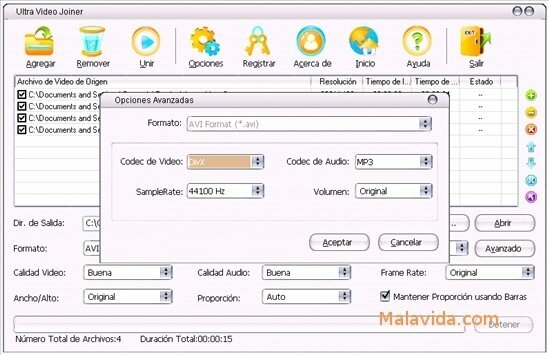 As well as joining the videos in the format of the user's choice, the application also allows us to export the videos in VCD/SVCD/DVD formats that are ready to be able to burnt on a disc with a recording application. The file conversion takes place as fast as possible, allowing the user to choose the percentage of the resources that the computer will use for the conversion in question, including full support for computers with more that one core. So, if you want an application that allows you to join and convert videos in the most simple and quick way, download and try Ultra Video Joiner. The trial version only allows you to convert half the file.